ORLANDO, FLA (DECEMBER 2016) — The Grove Resort & Spa will bring a new option in flexible meeting venues to the bourgeoning area just west of Walt Disney World® in February 2017. Uniquely set on 106-acres that incorporate a portion of central Florida’s conservation grounds, The Grove will present itself as an alternative to traditional meeting hotels. The resort’s comprehensive checklist of leisure activities, luxe amenities, and spacious residential-style accommodations will provide opportunity for both intimate and large groups to engage, indulge, and escape. The 878 room, all-suite destination resort will be a distinctive member of and managed by Benchmark Resorts & Hotels®, the signature hotel and resort portfolio of BENCHMARK®, a global hospitality company, an industry trailblazer, and recognized leader for nearly 40 years. With a selection of indoor venues that range from an intimate boardroom with seating for 20 to a spacious ballroom for nearly 250, The Grove’s 6,000 square feet of event space will draw a variety of association, corporate, and incentive meetings. Alfresco affairs will find a home poolside at one of the resort’s four swimming pools, or on The Grove’s lush lawn or garden area – all amid a backdrop of natural marsh, wooded landscape, and lakeside views. The resort’s contemporary design – inspired by The Grove’s natural surroundings – will be carried through each event area, providing an environment that will motivate, stimulate, and energize. Physical spaces will be complimented by an expert level of service, with event management, on-site catering, and audiovisual support available. The Grove’s mix of one, two, and three bedroom residential-style suites will be an ideal option for guests looking for solo or shared spaces. Floorplans include generously sized accommodations, ranging between 1,264 square feet and 1,544 square feet with private bedrooms and bathrooms, living and dining areas, full kitchens, screened balconies, and full-size washers and dryers. For those looking to turn business travel into a leisure getaway, The Grove’s accommodations will be a top choice for those traveling with families or groups of friends. On-site entertainment will be plentiful at The Grove, with a lazy river, multiple water slides, and a dual rider surf simulator at the resort’s Surfari Water Park; four swimming pools; watersports, paddle boats, and fishing at the resort’s Lake Austin Pier; a full-service spa; fitness center; game room; and more. 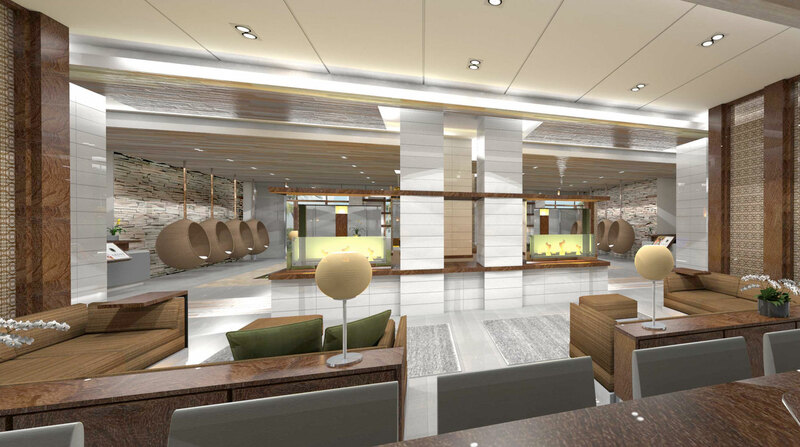 Dining will include multiple food and drink options, as well as a large-scale grab-and-go with hot and cold self-serve food, gelato and ice cream, a barista bar, a deli with fresh-cut Boar’s Head meats and made-to-order sandwiches, as well as grocery-style items ideal for stocking the in-room kitchen. For events with $5,000-$9,999 in guestroom revenue, planners will receive 1:40 complimentary guest room upgrade, 1:40 complimentary guest rooms, 1:40 staff rooms discounted by 50%, and 2% off the full master account. For events with $10,000-$24,999 in guestroom revenue, planners will receive 1:35 complimentary guestroom upgrade, 1:35 complimentary guest rooms, 1:35 staff rooms discounted by 50%, and 3% off the full master account. For events with more than $25,000 in guestroom revenue, planners will receive 1:30 complimentary guestroom upgrade, 1:30 complimentary guest rooms, 1:30 staff rooms discounted by 50%, and 4% off the full master account. The Grove Resort & Spa will open in Orlando, Florida in February 2017 as an expansive 106-acre hotel destination located just minutes from the Western Way entrance of Walt Disney World®. Set on Lake Austin and amid a portion of Central Florida’s conservation grounds, The Grove will become an alternative to traditional meeting hotels in the Orlando area. More than 6,000 square feet of flexible space will provide a variety of configurations for both intimate and large groups from the corporate, association, and incentive meeting arenas, as well as for social gatherings. Contemporarily-designed indoor meeting rooms, a boardroom, and ballroom will accommodate up to 250 guests, while poolside, lawn, and garden alfresco venues will provide an idyllic Florida backdrop of lush landscaping and natural marsh. 878 one, two, and three bedroom residential style guest suites will offer all the comforts of home – large floor plans, private bedrooms and bathrooms, full kitchens, full-size washers and dryers, and screened outside balconies – suitable for hosting attendees solo or in groups. The Grove’s leisure amenities will translate into to teambuilding activities, unconventional settings for group events, or down time for event goers: a lazy river, multiple water slides, and a dual rider surf simulator at the resort’s Surfari Water Park; four swimming pools; watersports, paddle boats, and fishing at the resort’s Lake Austin Pier; a full-service spa; fitness center; game room; and more. Dining will include multiple food and drink options, as well as a large-scale grab-and-go with hot and cold self-serve food, gelato and ice cream, a barista bar, a deli with fresh-cut Boar’s Head meats and made-to-order sandwiches, as well as grocery-style items ideal for stocking the in-room kitchen. The Grove will offer event management, catering, and audiovisual support. The resort is managed by Houston, Texas-based BENCHMARK®, a global hospitality company. For more information, please visit www.GroveResortOrlando.com. Follow The Grove via Facebook.com/thegroveresortorlando and on Twitter and Instagram at @thegroveresort.